As Southeast Asia’s leading on-demand delivery app, Transportify allows its customers to book and manage pickups and deliveries of almost anything. Same day? No problem. Prescheduled up to two weeks in advance? No problem. Multiple destinations in a single booking? No problem, you can have up to 10 per booking. What areas will Transportify cover? Later this month, Transportify Philippines will launch with a staged city rollout of its sophisticated marketplace app that matches customers with qualified transportation providers according to the strict quality standards of Transportify Philippines. Beginning with Transportify Manila, the service area will include all of Mega Manila and select surrounding areas Meycauayan, Cainta, Antipolo, and Taytay. To check if your address is serviced, use our convenient Address Checker Tool. How much will Transportify cost? Transportify Manila’s prices will be the most competitive in the market. Economy vehicle prices start at P250 for the first 3 km and 20 per km thereafter. L300 prices start at P600 for the first 3 km and 30 per km thereafter. Further information about pricing by vehicle class and extra services are also found in our fleet and pricing page. Who can use Transportify? In a word, anyone. Transportify’s broad client base includes large enterprises, SMEs, logistics and transportation companies, merchants shopkeepers, restaurants, and individuals. Transportify Manila will generate an average costs savings of 30-40% for SMEs on their traditional logistics and supply chains costs. Business owners can also choose cash on delivery as their mode of payment. What is so special about our Transportify App? Available on mobile and desktop, the Transportify app offers an advanced booking experience for businesses and individuals. Within minutes, the Transportify app allows you to complete a booking with your selected vehicle type, extra services, up to 10 destinations, and full customer service phone and chat support 6am to 10pm daily. In addition, the Transportify App features full GPS tracking and Google Map calculated ETA estimates so you always know exactly where your things are and when they arrive. What is Transportify Logistics? Transportify’s enterprise arm called Transportify Logistics provides enterprise first and last mile services to high volume customers requiring dedicated fleets, sophisticated route planning, specific servicing protocols, and specially trained drivers. For more information about Transportify Logistics, please contact business@transportify.com.ph. 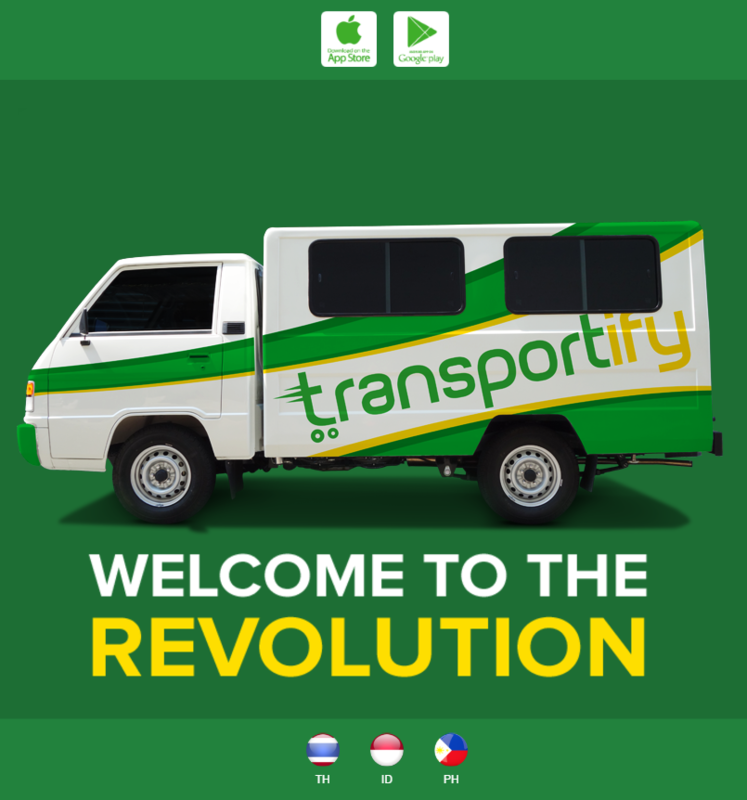 Transportify expands to the Philippines as part of its plans to increase its service’s reach. Now Transportify Logistics and the Transportify app can be accessible to more people in the country.